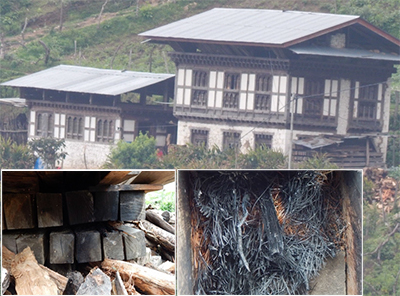 A house at Wengkhartshing under Dramedtse Gewog in Monggar was allegedly set on fire on purpose. The incident occurred last Sunday at around 11 PM when all the family members were asleep. Sources told our reporter that the culprit had tried to set the house on fire using kerosene, dried pine twigs and pinewood tinder locally known as Mepche. The house owner came to know about the fire after he smelled kerosene. The fire was immediately brought under control. No major damages were reported. Sources said a lady has been arrested for suspected arson. Police refused to comment at the moment.